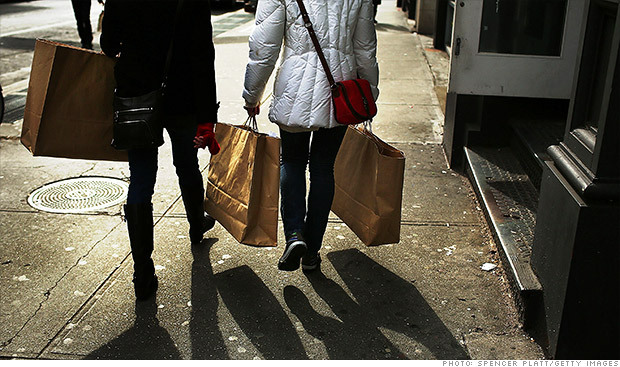 Consumer Sentiment Up in April in U.S. In April, consumer confidence increased to a high of nine months showing that Americans are becoming more upbeat with the economy as the labor market starts to gain more traction. The University of Michigan/Thomson Reuters index for consumer sentiment was up to 84.1 from a low of four months of 80 during March. Economists had projected the index to by 83 after a preliminary reading for April of 82.5. Consumers became more optimistic over current conditions than at any one period since July of 2007, thanks to stock prices at near records, smaller numbers of unemployed and higher values on property helped with household finances. Additional strides in the jobs market that help generate higher wage gains would provide more impetus for additional consumer spending that makes up close to 70% of the U.S. economy. Consumer sentiment is going higher, said one economist, which means people have been getting new jobs or wages have increased and they feel more stable about their financial situation. Estimates from 63 economists in one survey ranged from a low of 78.5 to a high of 85. In the five years prior to December of 2007, the index had an 89 monthly average. Following the start of the recession in December of 2007, the monthly average contracted to 64 for 18 months starting in January of 2008. Stocks were lower on Friday following results from Visa, Inc to Amazon.com that disappointed while at the same time tension in Ukraine escalated. 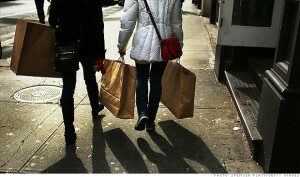 The consumer sentiment index measures the views of American’s personal finances. The data released today is in line with other data regarding sentiment. A consumer comfort index from Bloomberg was up last week to a level that was its highest since August of last year, as more Americans became more upbeat about providing for the family than at any one time in the past six years. Gains in consumer sentiment have translated to stronger sales. Cars as well as light trucks sold during March at an annualized rate of 16.3 million, which was the fastest rate since May of 2007. The pace in February annualized for the year was 15.3 million.